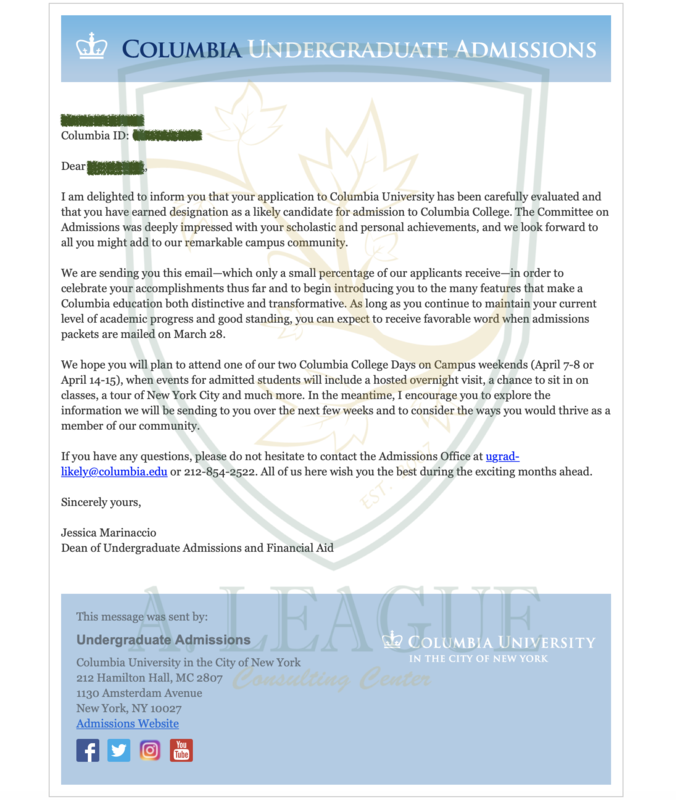 "I am delighted to inform you that your application to Columbia University has been carefully evaluated and that you have earned designation as a likely candidate for admission to Columbia College." © Copyright 2019, A. League Consulting Center.